Sous Chef / Head Lecturer, Miss Annabell Kapot has been with the school since 1992. She is a qualified assessor, has done extensive private catering in South Africa, and has also worked in establishments in Austria and France. 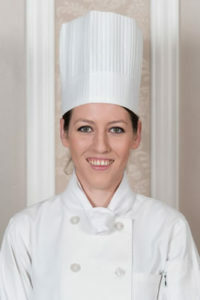 Pastry chef, Nicola Koegelenberg joined our lecturing team in 2000. She has a passion for the delicate art of preparing dough’s, pastries, bread making, chocolate and sugar work. She is also in charge of the dessert section at the school’s on-site restaurant and function venue, The ClassRoom Restaurant. 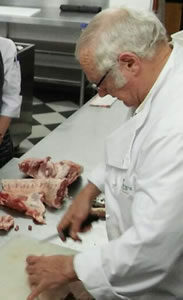 The students are introduced to grading of the carcasses, and taught about different cuts. They participate in deboning and handling of meat. Mr. Koos Roelofse owned his own butchery for many years and has been associated with Warwick’s Chef School since day one. The fine art of cake decorating and baking is taught to the students by experts Mrs Leigh-Anne Oosthuizen and Mrs Sumien Warwick. The focus is on precision and skill with creativity as the cornerstone for excellence in this subject. During the intensive course on cake decorating our chef’s expose the students do a variety of cake baking & coverings. 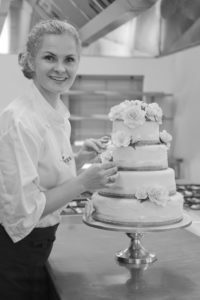 They are taught the intricate details of cake decorating which includes how to use marzipan, sugar paste flowers, moulding, piping and chocolate work. 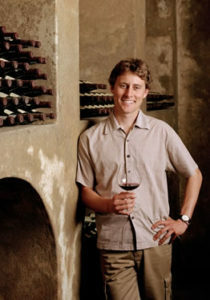 Renowned winemaker, Hannes Storm from the award-wining Storm Wines in the Hemel-en-Aarde Valley, presents the wine appreciation course at Warwick’s. Students are introduced to a world where food & wine marry to create the perfect dining experience. Students are introduced to the different cultivars of wine, as well as the use of wines when cooking and when dining. After the last wine and appreciation lecture, students are taken for a cellar tour and tasting at one of the estates in our beautiful Hemel-en-Aarde Valley. 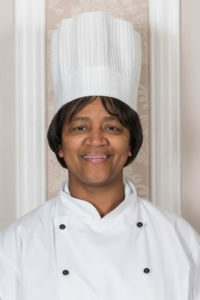 Valuable knowledge that every chef needs to have is taught to them by Ms Anita Rust joined Warwick’s chef team in 1994. Ms Anita Rust is a highly qualified and experienced nursing sister who is in charge of clinics in our area. A subject that students need to have knowledge on in the case of an emergency and to help prevent a fire. 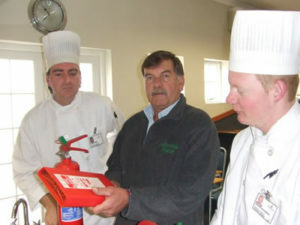 Mr Eddy Leeuwener is in charge of the maintenance and emergency firefighting stations at a prominent hotel in our area. Read more about Keven Warwick’s Chef Training School . . . APPLY ONLINE NOW! STUDENT KIT VALUED R7850 NOW R5850!